Hello Curvies! WET SEAL + is opening 30 new stores across the country. This Saturday , August 16th. CHECK TO SEE IF ONE IS NEAR YOU! There'll be lots of hourly giveaway, promos, selfie booth and guest bloggers. It'll be a fun experience for sure. 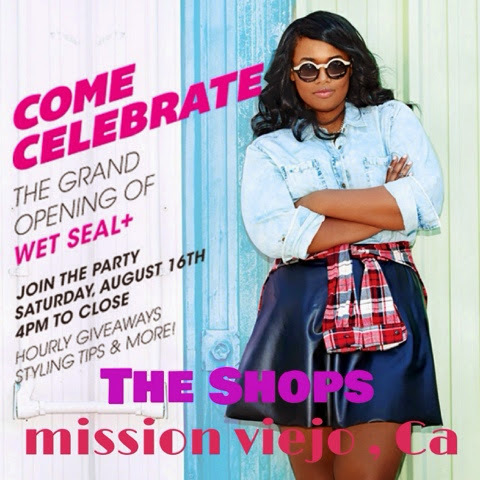 I will be at the WET SEAL + The Shops at Mission Viejo store opening. Aug 16th from 4pm-8pm. Come hang-out with me , I'll help you shop and style outfits , we'll take lots of selfies' at the selfie booth and Enjoy the hourly giveaways and promos. Other guest plus size bloggers will also be there like Marcyminute, Brandee J and Manik magazine. 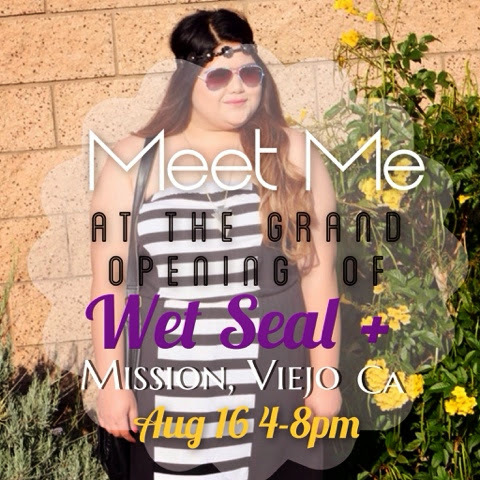 WET SEAL + Grand Opening!